Just thought I'd share this brand new site with you all. It features a lot of positive messages and the main writer, Liv, promises plenty of insight into life as an up and coming professional rider. 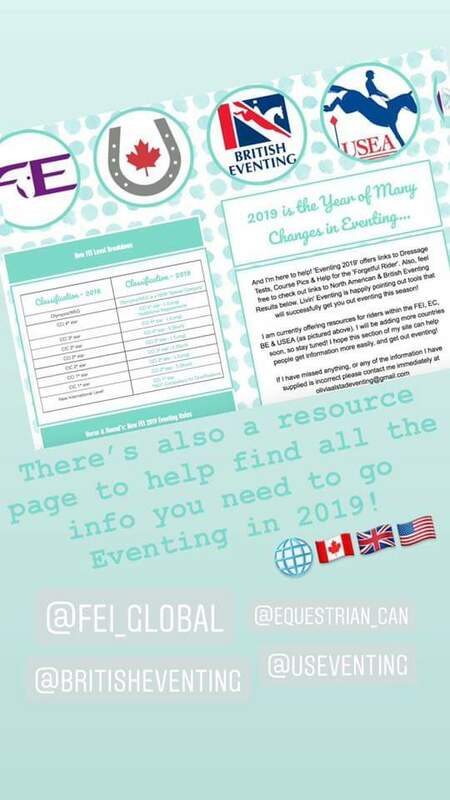 There also look to be some super guest bloggers lined up, plus lots of useful documents like event calendars and dressage tests. I used to ride with Olivia when she was a working student at my coach's barn. She's an amazing rider and an even better person. 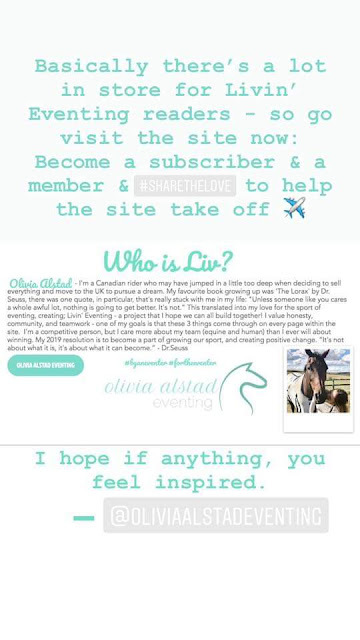 She moved to the UK two years ago to pursue her dreams of eventing for Canada and she's one of the hardest working people I know. She's well deserving of any support and website clicks you can direct her way! I will check it out!! I always feel a rush of love for those that take giant leaps to pursue the dream. Your name is all different.... threw me for a loop! It was well past time for a change...glad you're still here :) Fingers crossed I'm not confusing everyone too much! Hi! I'm T, living the good life on the West Coast with my two ponies. 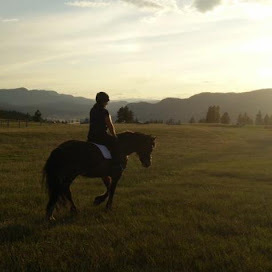 I ride and compete in lower level eventing and dressage, but often take long time outs on the trail too. Gosh, it has been sooooo long! Eventing It Up In The Great White North!